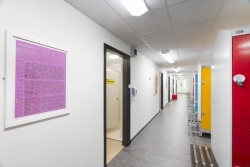 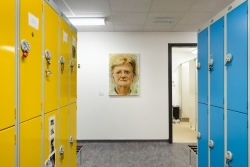 For the new staff changing rooms we worked very closely with the project team toward the completion of the build in order to select the most appropriate works for the space. 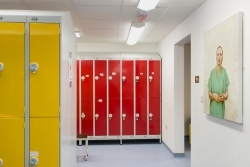 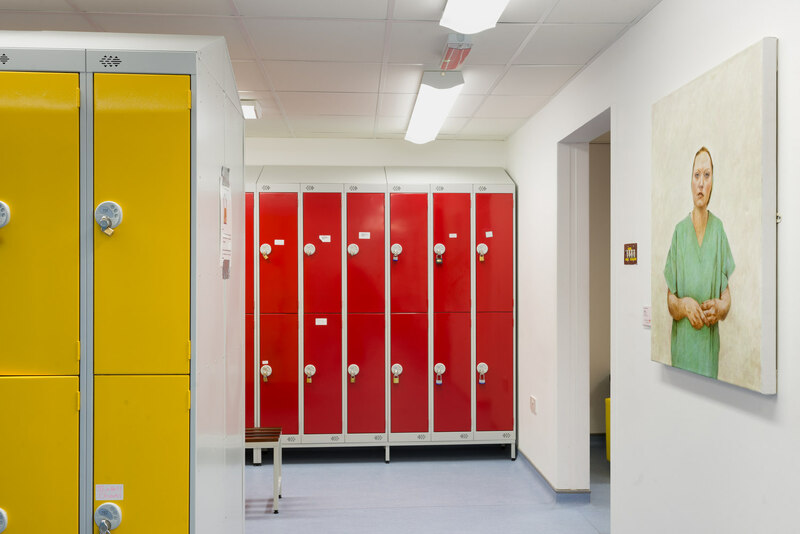 The overall design had a modern and clean feel, with bold primary colours from the lockers and benches. 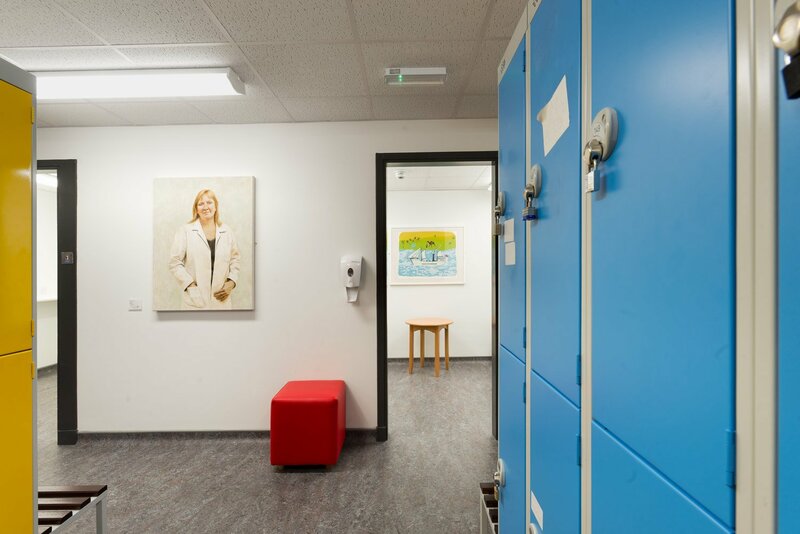 This allowed us to take a playful approach to the curation of the space, tying in works with strong, simple colour schemes and also more neutral-toned, muted pieces. We tried especially to include paintings by Mark Moynihan who had been commissioned to create a series of portraits of staff from NHS Grampian. 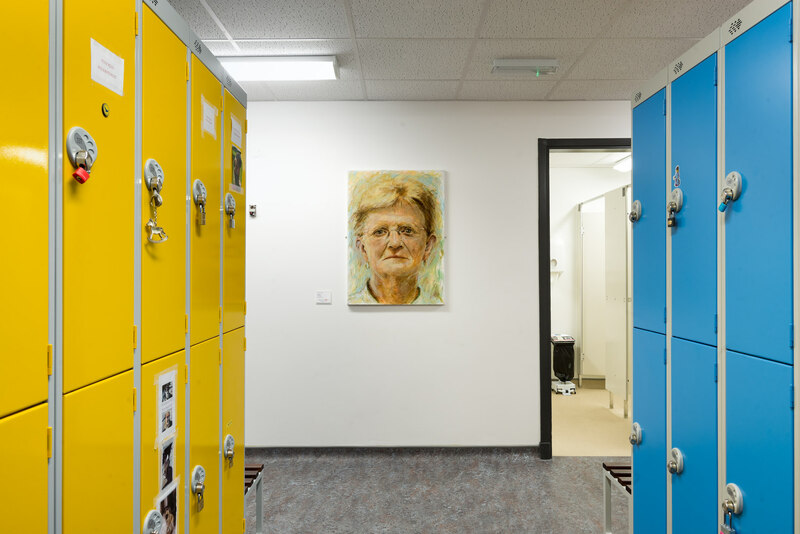 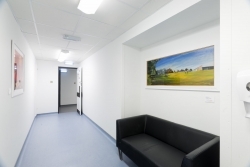 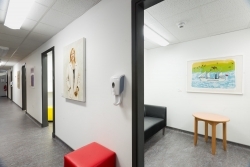 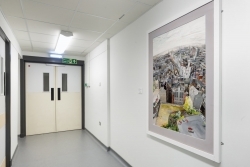 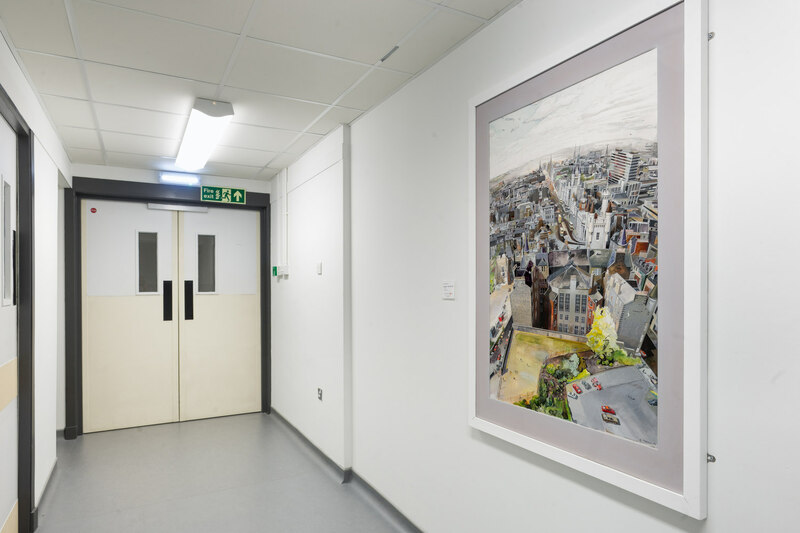 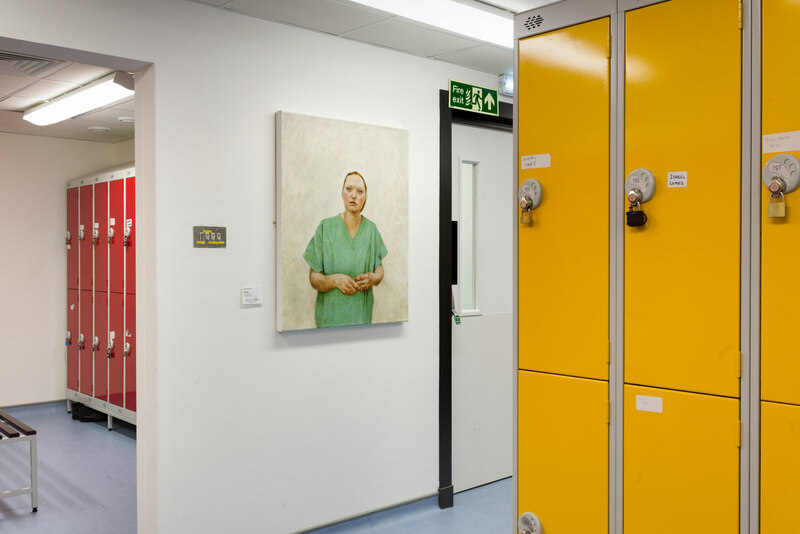 These skilful and delicate paintings represent and celebrate a range of different roles within the hospital, each undertaken by individuals of different genders, ages and nationalities. 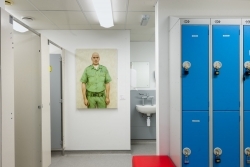 This added a sense of personality and intimacy to what is otherwise a minimal and contemporary space. 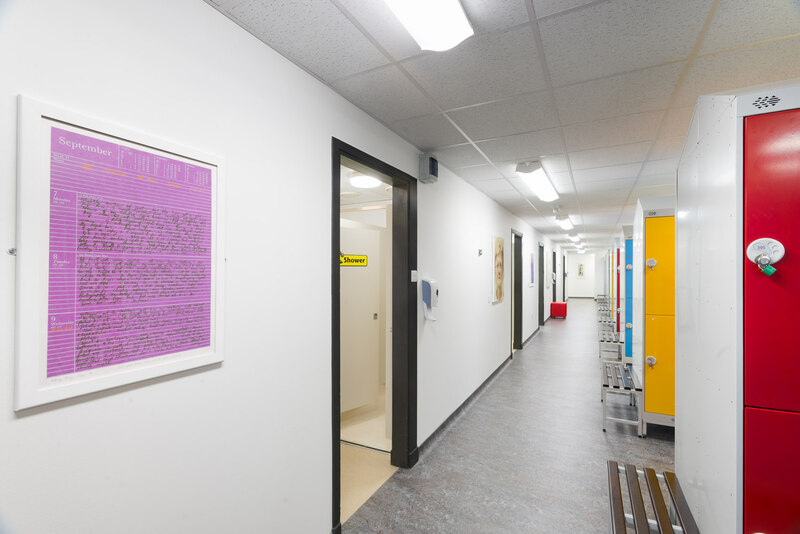 Some exciting prints by Norman Mathieson tied into the saturated, primary hues of the furniture and added an element of fun to the space.